Many ways to pay! We accept cash, check, Venmo, Apple Pay, Android Pay, Samsung Pay, and all credit & debit cards. 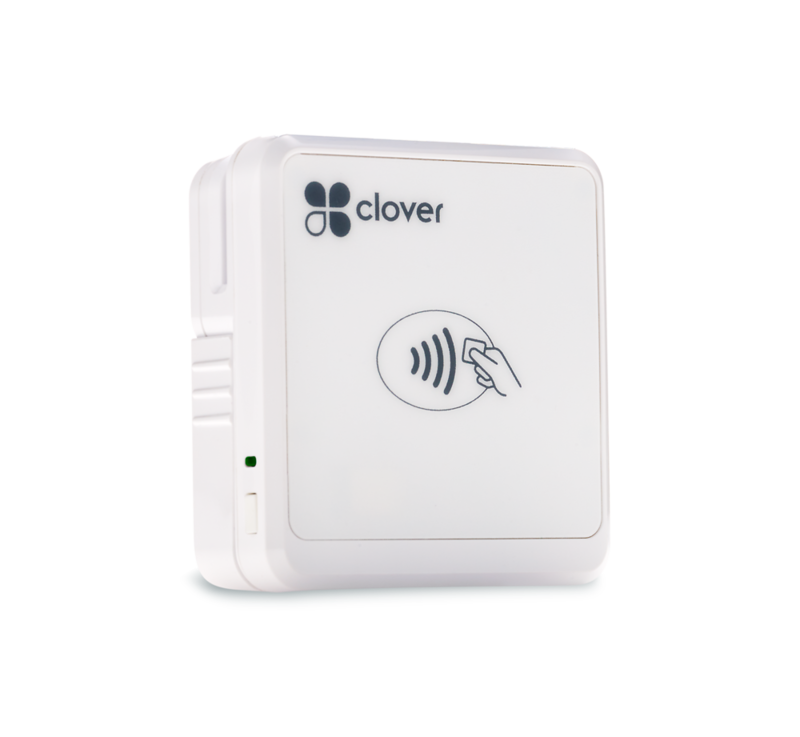 We use a handy Clover Go device to securely take payments at the time of inspection. No two houses are the same and I like to take all the time I need to catch everything. I usually arrive at the inspection site about a half hour early so that I can inspect the exterior. My clients and realtors love this because I will have the roof and exterior of the home completed by the time my clients and their realtors arrive, saving everyone valuable time. Typicaly the average home inspection will take around 3 hours to complete. A home inspection is a visual, non-invasive analysis of your home's foundation, crawlspace/basement, structure, exterior, site, electrical, plumbing, heating, air conditioning (depending on exterior temperature), roof, built-in appliances, visible insulation, walls, ceilings, floors, windows, doors, attached garages and the attic space. Are you checking my home for code compliance? A home inspector is not required to verify a home's code compliance. Checking code compliance would be referring to a municipal inspection. A lot of codes, however, are written for safety and are referenced to occasionally in the home inspection report. This is to point out potential safety issues in your home while providing you with the WHY behind our recommendations. A home will potentially be the largest investment you will make in your life. If you want to minimize surprises and unexpected issues then we highly advise you to learn as much as you possibly can about your newly constructed/existing home prior to purchase. The inspection may identify major repairs that need to be performed, safety issues that need to be corrected to protect you and others, and routine maintenance that should be performed to extend the life of your home. This allows you to learn more about your home, and enables you to make a decision with much more confidence. The cost of a home inspection varies depending on a number of factors. Some of these factors include age, location, size, detached structures, etc. Our typical price range is $300 - $500. I know someone who is a handy man or experienced contractor why can't they inspect my home? This is a typical question asked by potential home buyers. Not to discredit your friend or family member, they may be 110% competent and knowledgeable in their field of expertise but being a home inspector is a different skill. In the state of Washington and many other states hours of classroom and field training as well as documented hours of continual training are required to possess a license. No. When we inspect your home we are examining the current condition. Appraisals determine market value and municipal inspections verify local code compliance. Neither of which is a standard home inspection. We will not pass or fail your home. We will rather describe the condition of your home, identify current or future problems, offer guidance on how to upgrade components in the home for safety, and provide you with advice on when to perform certain preventative maintenance items. This typically occurs after the contract or purchase agreement has been signed. Before you sign this agreement you want to ensure there is an inspection clause in the sales contract. This will ensure that your obligation to purchase the home is dependent on the findings of the home inspection. Ensure this agreement specifies the terms and conditions to which the buyer and seller are obligated. Although not required, it is highly advisable that you be there during your home inspection. You will be able to observe and ask questions directly to the inspector and they will go over their findings and review pictures with you in person. This provides a great opportunity to learn more about your home. How long until I have the written report? This can vary based on the time of the week and our schedule, but it should be expected later the SAME DAY and no later than 48hrs post inspection. You will receive your inspection report via a link that will be e-mailed to you (Hard Copy reports are available upon request). Post inspection we will review HUNDREDS of photos of your home. Often we will have more recommendations for you even after we have left the property. This translates into an information packed report with pictures, comments, and links to articles, written in an easy to read format that you will certainly appreciate. What if there are problems with my home? Unfortunately no home is perfect. This doesn't necessarily mean that the home should or should not be purchased, this just means now you will have the information in advance to know what to expect from the home in the future. If not willing or able to fix the things that are defective in your home, then you would definitely want to know this information. A seller may also be comfortable with covering the compensation for repairs made to the home. What if I want to ask questions after receiving my report? Feel free to give us a call any time after your home inspection if you have any additional questions. This is completely acceptable and encouraged if questions arise from you or others about the inspection and/or the report. Our dedication to serving you is a life-long commitment.